ummer keeps slipping away. Days blur into weeks, and weeks into months. It seems like it was not that long ago when we were planting the seeds of anticipation and dreams for this year’s pumpkin crop. With Memorial Day and the Fourth of July a distant memory, August will be around the corner and all too soon students will return to school, and crisp autumn days will take the place of the sultry summer sweat. The patch at Poverty Hills is progressing like the summer days. The baby transplants have grown and stretched their vines in every conceivable direction turning what used to be rows into a carpet of pumpkin leaves. 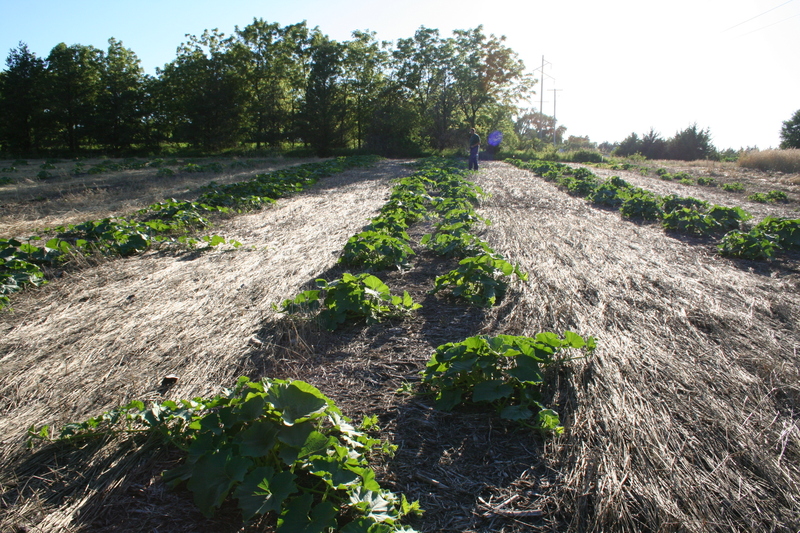 Standing at the top of each row, it is hard to spot where one pumpkin vine ends and another vine begins. 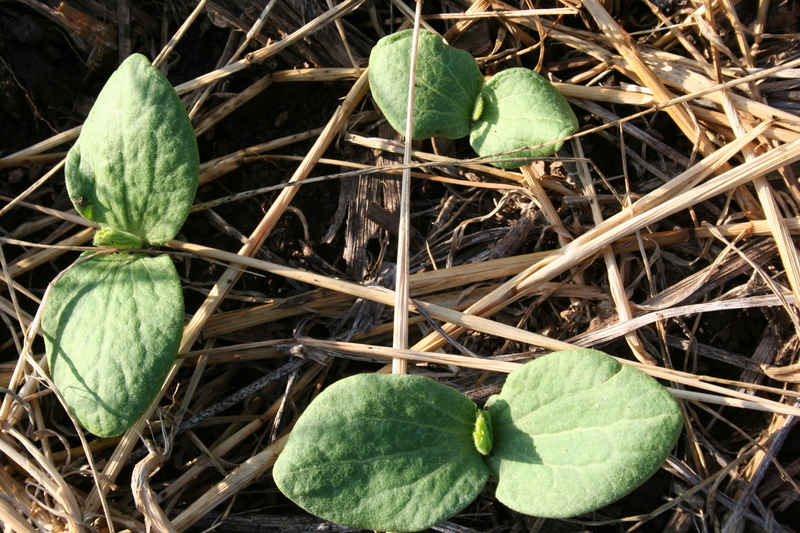 A look back at newly sprouted pumpkins soaking their cotyledons in the warm Nebraska sun. Dotting each vine are large bright yellow blooms, and if you look close you can see the beginnings of a new pumpkin at the base of some of the female blossoms. Some of the earlier planted varieties even have pumpkins that actually look like pumpkins on them! We keep a pretty good record of photos from each time we visit the patch. It’s amazing to look back at some of the earliest photos of the season compared to what the patch looks like today. All this progress at the patch instantly puts lengthy “to do” lists in my head! There is so much to be done before the harvest begins! The picking and washing! Designing tags and choosing ribbon! You can see how the hills were planted in rows. 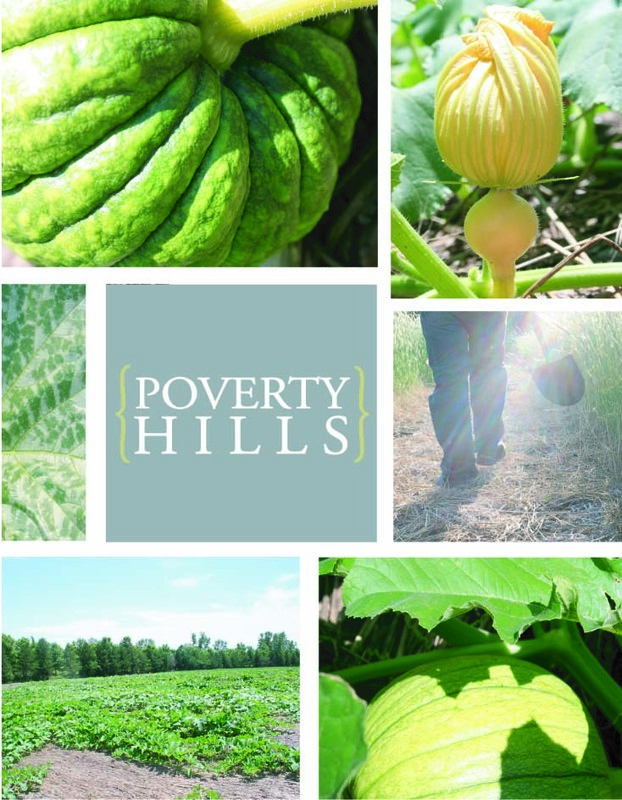 Even though we still need to accomplish many things before harvest, we are very excited for the 2010 season to begin! We have filled our fall schedule with events where you can find us in Lincoln, Omaha, and a few places in between! We are even planning a second annual Pumpkins on the Porch held at our 1918 farmhouse. Keep tuned in for more details! If you would like to be added to our mailing list–please comment on this post or write to us at thenygrens@windstream.net. Although I don’t want to rush summer along… (means back to school/work for me) I am excited for pumpkins at our Fall Show! All your hard work makes for beautiful pumpkins and one awesome patio at The Whistle Stop!